Is Flirting Online Considered Cheating? Imagine this scenario. You met him or her online. You fell in love online. You fell madly in love and took your profiles down together to live your offline life. When a former boyfriend decided to take his profile down so we could date exclusively, he was excited about our future. He was marriage-minded, gave me an office in his home with a beautiful view so I could write, we met each others’ families, and we were both excited about the possibilities of our new relationship going the distance. It was his decision to take his profiles down. He asked me for my help in removing his online dating profiles from OkCupid, Plenty of Fish, and Senior People Meet. It was a ritual and a milestone in our relationship and he was absolutely sure this is what he wanted to do. But there was a piece of him that still felt uneasy about it. When a man makes a relationship milestone, he wonders if this is the last woman he’ll ever make love to or ever touch. He wonders if other women would still want him if the relationship doesn’t turn out. My guy was going through a major digital withdrawal and his ego was taking over. He started telling me that his inbox was feeling lonely and he wasn’t getting emails from women anymore. After spending six solid months logging onto three dating sites every day, he had mixed feelings about the situation and felt a bit of a loss in not hearing from admiring women. Before my guy made the big digital commitment, he would log on to view who wrote to him, but would never write back. He was curious. It was an ego decision, but he wanted to make sure that I knew where he stood and that he didn’t want to date others. I smiled and told him to take his time. There was no rush. Typically when someone has spent a lot of time on online dating sites, it’s hard to make the final break. They know in the back of their minds if it doesn’t work out, they can go back online at any time and go fishing again for a new date or a mate. I’ve watched both men and women put up secret profiles or reactivate their profiles temporarily after a bump in the road in their relationships. While this is normal, it’s incredibly hurtful. As big as the digital dating landscape is, there are too many friends and family members who will notice the profile, even if it’s up for a few days or so. They will bust you. It will blow up. It might not be recoverable. Is it worth the risk? In my book, The Perils of Cyber-Dating: Confessions of a Hopeful Romantic Looking for Love Online, I describe the serial online dater or online dating addict in chapter 12. This man said, “I love you,” while on a romantic vacation, while simultaneously logging onto Match.com for hours every night to talk to other women. This, my friends, is emotional cheating. 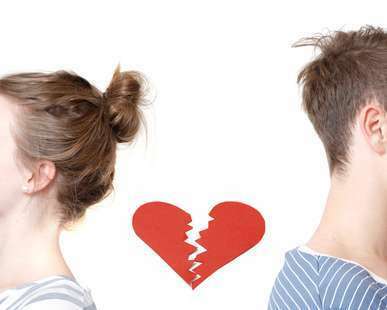 Even if he never took the relationships offline, this act was so hurtful that it resulted in the ending of the relationship with the woman he really did love. Often a man or woman might go fishing just before making a major commitment to make sure he or she is not making the wrong decision. More often than not, it’s for the ego. We all want to know that we’re loved. It’s so powerful, isn’t it? But is it worth losing your relationship over? Is it considered cheating? My online dating advice is: If you’re in a committed relationship, I urge you not to blow it by flirting with a former love interest on Facebook or reactivating your online dating profile while checking out your options. If your significant other finds out you’ve reactivated your profile without discussing it with them, don’t be surprised if they either leave, or start withdrawing from the relationship. You just may lose the person you love so much. If you’ve agreed to be exclusive or “facebook official,” communicate offline with the person you?re in a relationship with, instead of flirting online and looking for other options. If a relationship runs its course, be a grown up about it. Agree together that it’s time to move on, or talk about what needs of yours need addressing to move together to the next stage. Often the love you have with the person you’ve invested the time with is worth saving and will be worth its weight in gold, compared to the heartbreak you might be creating. Julie Spira is a top online dating expert and founder of CyberDatingExpert.com. She’s the author of the bestseller, The Perils of Cyber-Dating: Confessions of a Hopeful Romantic Looking for Love Online and creates irresistible profiles for singles on the dating scene. For more dating advice, follow @JulieSpira on Twitter and at Facebook.com/CyberDatingExpert. You have a plethora of wisdom & insight for dating online but this article is the only one facing reality of cheating online. This is affecting mass amounts of relationships, all due to the fantasy of allure and many couples who were really in love are now lost. I enjoy your writing & your advice, please get into the meatier side of online dating……the cheating, the lying, jealousy, boundaries, etc. and how to deal, discuss and cope with the real issues. My partner has deeply affected me due to online/emotional cheating. Now I have an issue (or another one lol) to work through and trying to rebuild trust with men & the internet but yet respect privacy will be a difficult task. I’ve been in an abusive relationship with a BPD partner for 17+ yrs. I’ve decided to find happiness online. We have 3 kids together so I can’t leave or abandon them. So, I live in a loveless/sexless marriage and find it convenient to chat online with other women. I’m not meeting these women. We’re only exchanging pictures and chat occasionally. These women know my situation and they are ok with having this online relationship. In my situation, is this considered cheating? Seventeen years is a long time to be with a partner and while I’m not a psychiatrist who deals specifically with abuse and the issues that your partner has, I do encourage you and your partner to go to counseling together to handle this issue. To answer your question about cheating online, if your partner doesn’t know that you’re chatting with other women behind her back, it is considered emotional cheating. Think about it this way, if you’re staying in your relationship which you consider to be abusive and found out she was chatting with other men instead of working on your relationship how would you feel? On one hand you’re staying loyal due to the amount of time put in. Perhaps you feel guilty about leaving. Maybe you can find a way to save your relationship and get to a point where chatting with other women isn’t something you have any interest in. I can’t speak for the other women who know you’re involved in a long-term relationship and still want to chat with you. Chatting online can be a good ego boost, but it’s never good for a relationship. Try to go to counseling together to improve your relationship, or perhaps decide together that it’s not worth saving. In the interim, I recommend that you take a break from chatting with the other women while you find the answers to repair your current status, so both of you can be happy. While it’s natural for men to look at other women and even flirt with other women, doing so online builds a bond and a relationship with someone else and it can’t help fix your relationship. I googled this topic to try to find some clarity around my own situation. I started dating a guy about a month ago that I met in a town where I’ve only recently moved to. Two weeks into the relationship I saw he was texting a girl via an online dating site. It made me feel like he wasn’t considering our relationship serious. I discussed how I felt with him and let him know that I had tried online dating but had already taken myself off after meeting him. He agreed to take his profiles down too and said he was committed to making a relationship work with me. A month later I saw a Facebook post where a girl had made a comment that the smile in her profile pic was because of him. I saw the comment because he had responded to this with a smiley face so therefore it showed up on my newsfeed. I asked him about the comment. He said that he met her online prior to us dating. They had become Facebook friends and he has also given her his number. They chat regularly still and he just recently had a coffee with her to meet her. He said he is faithful to me and that she is just a friend. Considering how they had only had an online dating relationship in the past I don’t see as been a friendship meet up. I would think that the coffee meet up would be more of a first date. He doesn’t seem to think it’s wrong. What are your thoughts on this? Perhaps it’s time for a chat with your guy about what dating exclusively means. There’s nothing wrong with women having male friends and men having female friends, but cultivating a brand new relationship with someone he hasn’t met could mean he’s testing the waters to see who else is out there if it doesn’t work out with you. If he’s really true blue, let him know that you’re uncomfortable with his communications and in meeting her without you with him. Ask him to let her know he’s involved and has a girlfriend, and to confirm they can only be in the friend zone. If he continues to chat, text, comment, and meet up with her, it’s time for you to start dating others. I define a friend as someone you have a close relationship with and have known for a while. We can’t stop men or women from flirting online, but if your relationship is important to him, ask him to put the brakes on the new woman he met after you mutually decided to be exclusive. I did end up talking with him on it. It brought a lot of clarity to the situation. He admitted that he was finding the attention flattering so continued to communicate with her. He has since deleted her from his friends list and marked his online relationship status as being in a relationship with me. What I can’t believe is that she did know that he was in a relationship and had even joked about sabotaging it so they could be together. I said to him, doesn’t that send warning bells about the type of person she is? I’m shocked that people out there would purposely ruin other peoples relationships in that way. I’m glad you had a heart-to-heart talk with you guy and that things are going in the right direction for you.